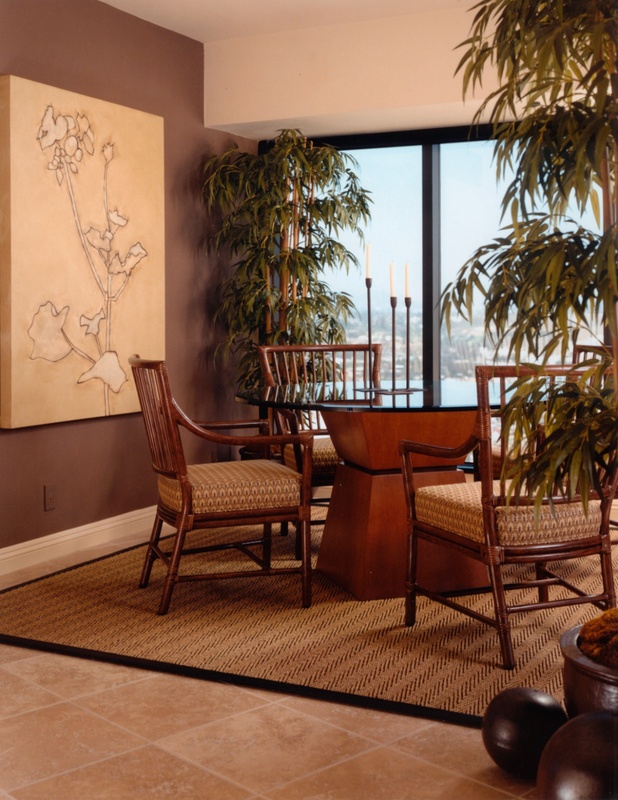 For rooms like this, San Diego interior designer Jim Walters received best residential design honors at the 2002 ASID Design Excellence Awards. The dining room is an imaginative blend of modern and primitive influences on a background of warm neutrals and contemporary art.
" 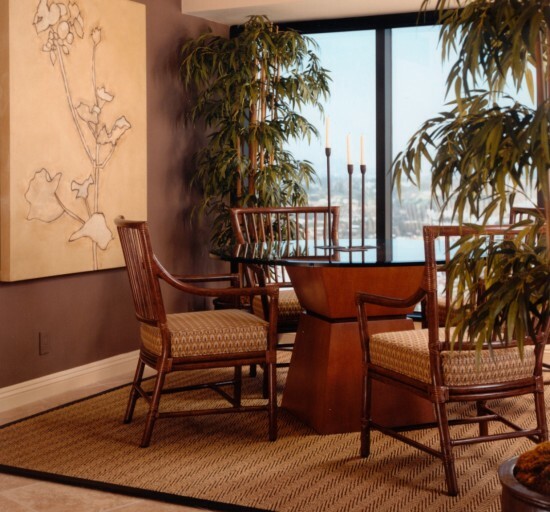 The bamboo-infused dining room features a leather-bound seamless rug, rattan chairs, and a Kronos dining room table designed by James Walters."